Fasting is an ancient practice that is observed in nearly every religion and culture around the world. While many view it primarily as a spiritual discipline, numerous health benefits have been proposed as well. These range from helping to lower blood pressure and cholesterol to the detoxification of the body. While many medical professionals and average people advocate fasting in some form, many others disagree. Like many “alternative therapies” practiced throughout the world today, the jury still seems to be out on fasting and its health benefits. Many claim that it can help reverse diabetes, high blood pressure, and cholesterol; improve the immune system; and help the body heal itself in numerous ways. Others claim that none of these things is proven and that fasting can actually be detrimental to one’s health. Today I take a look at the benefits that those who are in favor of fasting have either witnessed or experienced themselves. In a future post, I'll address the opposite viewpoint. 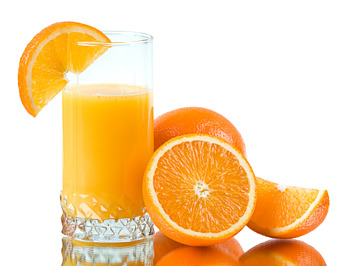 Detoxification: Detoxification is one of the most notable benefits of fasting that proponents mention. Those who support it say that since many of the toxins we store in our bodies are stored in fat, and more fat is burned during a multiday fast, it can serve as a way to help detoxify the body. It is believed to give the body rest and allow it to use for detoxification the energy normally used digesting food. Longevity: Another interesting idea is that fasting can actually help promote a longer life. Numerous studies in animals have found that subjects that periodically fasted and followed lower-calorie diets in the trials lived longer than their counterparts. Lower risk of diseases: A relationship between fasting and a lower risk for diabetes, heart disease, arthritis, and Alzheimer’s has also been found. Fasting proponents point to this as evidence that fasting directly leads to these health benefits, while opponents hold that though they are correlated, it doesn’t necessarily mean one causes the other. 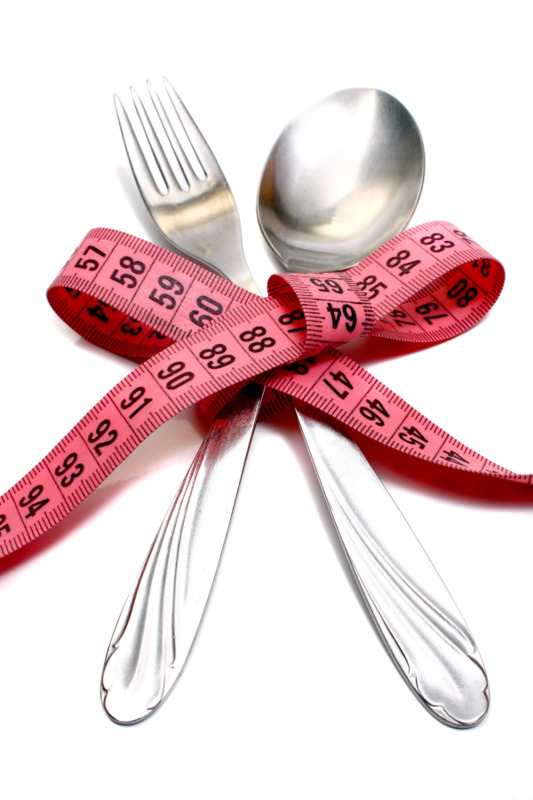 Next time we’ll look at fasting and weight loss, a method many have tried over the years. What's Your View on the Health Benefits of Fasting? In the meantime, though, what’s your story? Have you ever fasted for physical or spiritual reasons, and if so, what was the outcome? There seem to be many on both sides of the fence when it comes to fasting. The many health benefits of eating organic foods are well documented by now. 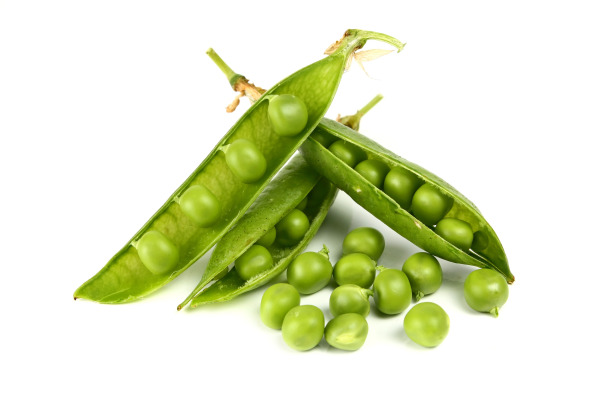 They are said to be cleaner and more pure, taste better, and be higher in many vitamins and minerals than their non-organic counterparts. The environment is also better cared for, as there aren’t any chemicals or pesticides used to grow organic products that can in turn pollute our planet. Despite these benefits, though, could we be going overboard when it comes to organic foods? Are all organic foods really that much better for us, or is it possible that we just think they are? Do Organic Foods Benefit from the Halo Effect? The placebo effect has been noted in many drug trials. A medication is given to one group of participants while a placebo is given to another. They both are told that they are being given the drug, though, so oftentimes many in the placebo group report experiencing the drug’s supposed effects simply because they thought they were getting the drug. It turns out that a similar effect, known as the halo effect, may accompany organic foods. Researchers have found in studies that oftentimes people will perceive a non-organic food labeled “organic” as tasting better, being lower in calories and fat, and deserving of a higher price tag simply because they thought it was organic. Much like a well-dressed person may be perceived as being wealthy, intelligent, and happy simply because of his or her appearance, positive attributes were attached to the foods labeled organic merely because people thought they were organic. What does this mean for the average person, though, since the store (hopefully) won’t trick you into buying a falsely labeled organic product? I believe the key is to remember that just because something is organic, it doesn’t mean that you can eat unlimited quantities of it. Excess calories are still excess calories, even if they come from healthier foods. There are also many products that shouldn’t be viewed as health foods simply because they are organic or natural, such as chips, cookies, and other sweets. Just like not every item you can purchase at Subway is healthy despite its marketing efforts (sorry Jared), not every organic product is healthy enough to be consumed frequently throughout your week. Stick with fruits, vegetables, and whole foods whenever possible. And remember, any health and wellness program will tell you: Just because your cookies are labeled organic, it doesn’t mean they are now a health food! Many things in life can be hazardous to your health, such as smoking, drunk driving, and too much sun exposure. Many of these things remain in your control, fortunately, putting your health in your hands. One thing you can’t control, though, that can potentially cause problems is daylight saving time, surprisingly enough. No one minds the extra hour of sleep that accompanies it in the fall, but the hour that is lost in the spring is a different story. A recent study at Loyola University found that heart attacks are more common on the first Monday of daylight saving time, as well as traffic accidents and injuries in the workplace. Many people already have trouble sleeping, so losing one more hour of sleep time can make it hard for the first few days or weeks afterwards. Here are some tips to help you better cope with the time change next time around. Go to bed and wake up a little earlier in the days leading up to the change so it won’t come as such a shock. Expose your body to light each morning after the change to help adjust your body’s sleep/wake cycle. Try not to schedule important tasks and projects that require your full attention until a few days after the change if you are worried you might be sleep deprived. Along with these tips, remember that getting enough sleep each night is crucial to employee health year round. If you are struggling to get in seven to eight hours nightly, check out local resources and think about seeing your doctor to discuss your options. You can’t afford not to. That dancing program that eats up two hours a night during the week? Go ahead and watch it. That reality dating show that you cannot miss out on because you are invested in the guy bachelor giving out his last flower to your favorite girl contestant? Go ahead and watch that, too! Yes, you can have your cake and eat it; you can watch all of these programs and stay away from heart or cardiovascular problems. 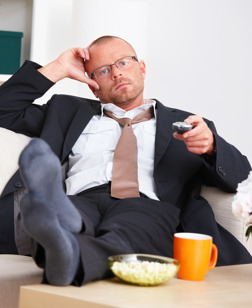 A study reported that sitting in front of a television or computer screen for more than four hours a night made people more at risk for heart attacks, strokes, or other serious cardiovascular diseases. However, those who cut those hours in half have less than half the risk of those problems. So how can you still watch all of your shows, update your Facebook status and Twitter feed, and stay healthy? Watch shows on your own schedule. For starters, the days of “must-see TV” are gone. Try using your digital video recorder (DVR) to save shows for later viewings. Using this feature will cut those 30- to 60-minute programs in half. If you do not have the luxury of a DVR, don’t worry. There are multiple options out there to catch you up on your programs so that you are not the social outcast in your circle of friends. Snack healthier. The second option is to eat healthier snacks while watching television. Is your usual choice chips or popcorn? Yeah, those are not helping your heart any. Try eating carrot or celery sticks. If those do not sound appealing, try a granola bar or trail mix. Walk around more. Use the first option of the DVR or catching up on shows online at a later time. From the study highlighted on CNN, many of us also spend our working lives sitting at a desk and commuting behind the wheel of a car. Researcher Emmanuel Stamatakis says, "We have taken sitting as a default position for many, many things. I don't think that our bodies are made for this, and the reaction to this is all these adverse physiological and chemical consequences." The easy way to fix this problem is to go for a walk, run, jog, or stroll around your neighborhood, apartment complex, or park during your free time. Exercise while you watch. There is also the option of multitasking. While catching your favorite guilty pleasure, do some jumping jacks or core exercises! Yes, you can have that healthy, long life that you want to have while enjoying the television shows that you cannot miss out on. But, just like everything in life, you must enjoy it in moderation. You can still have your cake and eat it too. After I had my daughter six years ago, I was faced with 30 extra pounds and no idea how to get rid of it. I began working out regularly and in turn felt entitled to eat more: Hey, I just ran a mile and a half and I deserved it…right? WRONG. I realized very quickly that working out alone was not going to get rid of the weight―especially if I was eating more. Enter Weight Watchers. I joined the online community and studied point values and began tracking everything I ate each day. This completely changed my view on many foods that I was eating on a regular basis. I also weighed food to ensure proper portions. I found myself eating many prepackaged snacks to control portions. The program worked and the weight came off….hooray. I then began wondering if the foods I was eating were the healthiest choices. Many snack foods were the same point values as fruits and other foods that were much healthier choices. I then decided to stop counting points and start incorporating more whole grains, fruits, and vegetables into my diet. Weight Watchers is a great program because you can eat anything in moderation. For the average person this is a great fit, but I felt it was not teaching me to eat better. I was excited to hear that they were making changes in their points system to correct the very issue I noticed. Now most fruits and vegetables are zero-points foods. This should encourage people to pick up that apple or banana instead of a 100-calorie processed snack. I would often recommend Weight Watchers to corporate wellness clients and friends interested in losing weight, always warning about making an effort to eat healthier. The new program is teaching folks to eat smarter and that is very important. Now I will feel much more confident in recommending the program. 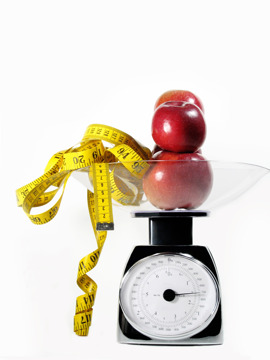 Weight Watchers At Work is a great way to encourage a worksite health promotion program! Consider holding a meeting at your worksite. It is much easier to follow a program when you have support from others. Warmer weather is finally pushing its way into the nation, and many of your corporate fitness members will be itching to take their exercise outdoors. While outdoor workouts are a fun alternative and offer a great way to mix up your programming, even 75 degrees can dramatically intensify a workout. As you’re rolling out new programs for the summer months―including outdoor boot camps, circuit classes, and training runs―remember to urge your members to take heat precautions. As suggested in this article, try to plan activities or classes around the peak temperatures of the day. From 10am to 2pm, the sun’s rays are the strongest, but the heat can linger throughout the afternoon. Try early-morning or later-evening class options. Build more rest/water breaks into your classes than you normally would. With hotter temperatures, the body will perspire more, so remind your participants to always bring a water bottle to these outdoor workouts. When planning the class agenda, build in periodic water breaks for at least a full minute each. Keep sunscreen handy. At our corporate fitness center, we keep a few bottles of SPF 30 in our first-aid kit. 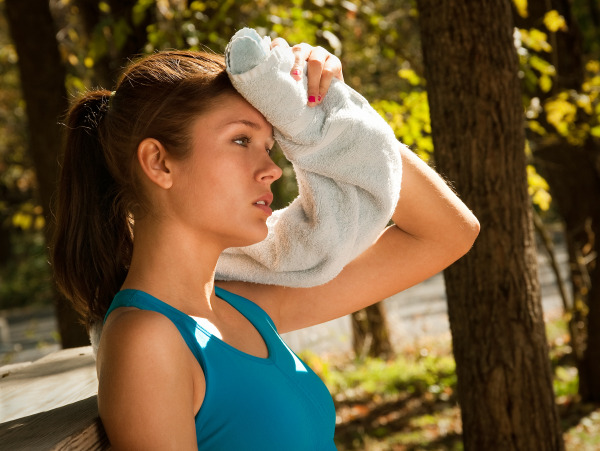 Monitor your participants closely for symptoms of heat exhaustion. Dizziness, confusion, and pale skin can all be signs that a person is overheating. If a member mentions that he or she has stopped sweating and feels a dry, salty layer on the skin, this can be an indication of dehydration. Urge your runners to take their pace a little slower than normal. In temperatures over 60 degrees, runners cannot be expected to set record times. Jeff Galloway, author of several marathon-training books, suggests that for every 5 degrees above 60, runners should decrease their mile time by 30 seconds. As exercise science professionals, many of us are in our peak fitness years. We work with a wide range of clientele in our corporate and retirement fitness centers, and we assume that we know how to adapt exercises to how the older generation operates. But do we really know what it feels like to age? One of NBC's Today Show correspondents tried on the Age Suit and was given the task of grocery shopping. He reported back that not only was it harder to see the grocery list and the items on the shelves, but it was hard to reach any objects that were on high or low shelves. 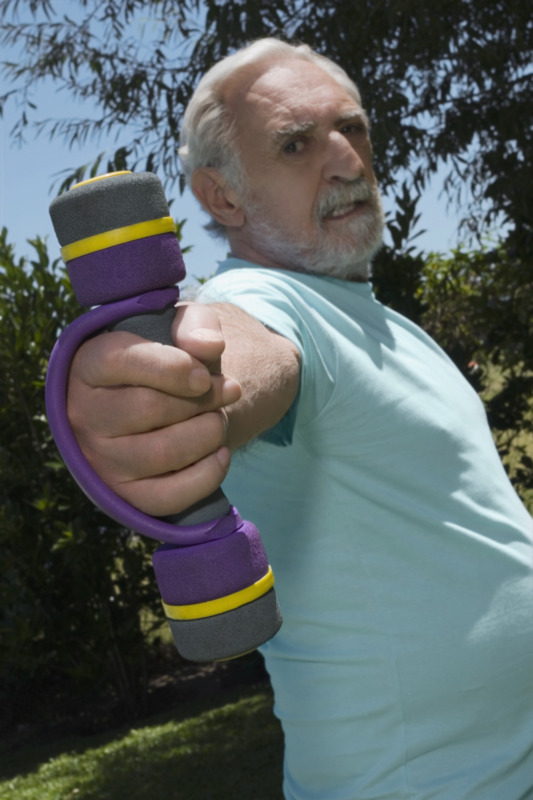 Often, when adapting exercises for our older clients, we think about only one or two of the factors that could be inhibiting them―for example, weak knees or a stiff back. We must remember that many of these older clients experience several symptoms of aging, that when combined require specialized exercise prescriptions. It’s also important to remember that not every older person functions exactly the same. Some have been active for many years while others in a senior fitness center may be experiencing exercise for the first time. The Age Suit offers a great reminder that sometimes we need to literally step into someone else’s shoes. Like most people, have your resolutions fallen to the wayside, or have you simply forgotten them? 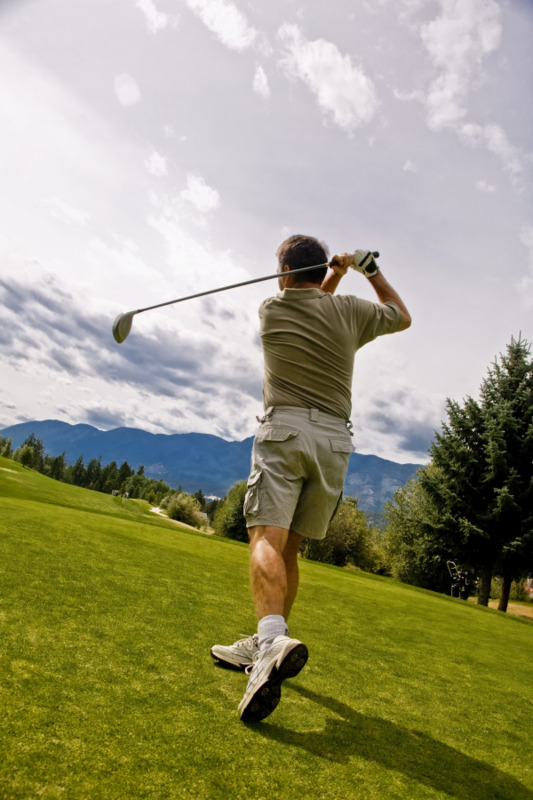 It’s no secret that it is easier to be more active during the warmer months. The ability to get up off the couch and get outside is motivation from the sun! Start the month off right by reevaluating your current lifestyle habits and commit (or recommit) to be fit! Set a goal. Having something to strive for can help keep you on track to achievement and success. Consider what you enjoy and set a SMART goal. Schedule time. If you plan ahead and incorporate physical activity into your schedule, you may be more apt to stick with the plan. Pack your gym bag the night before. Walk at lunch. Motivate your coworkers to commit to be fit! Let others know you plan to walk at lunch and ask them to join you. Worksite wellness programs are a perfect place to learn how to incorporate exercise into your day. Engage your family. 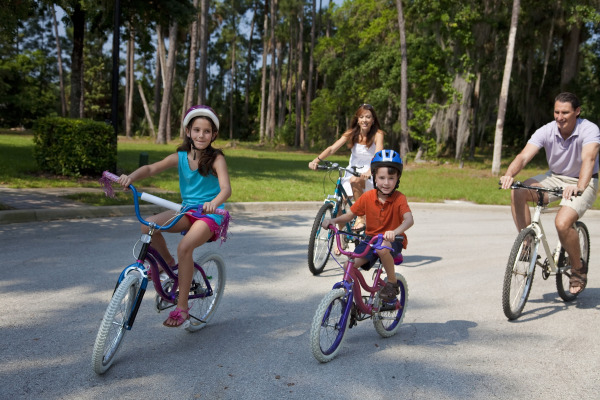 After dinner, strive to get the family involved in a bike ride or a walk through the neighborhood. How do you make time for physical activity, or what does your company do to encourage employees to have healthier lifestyles?